Those new park hours: Yes, hours are now extended at Disney's Animal Kingdom. It has been a week since park hours were expanded and the additional night time events have been added. I am sure we will discuss all of this soon on a show, but here is what I perceive to be the general consensus so far: The Jungle Book show is not great. The new entertainment options and the Tree of Life Awakening show, however, have received rave reviews. The night time Kilimanjaro safaris seem to be great for some, not so much for others. Generally, the criticisms have been you don't see as many animals and its too dark to take photos. Tiffins and especially the Nomad Lounge have received a lot of praise. New wallpaper: Disney has released some new wallpaper to download focusing on the new night time offerings. 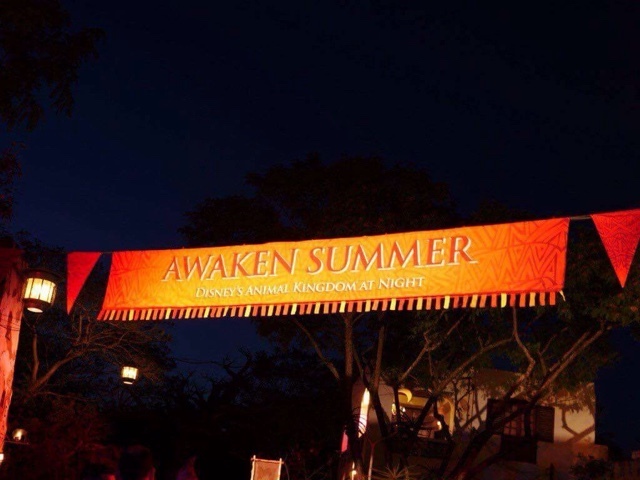 The wallpaper features a herd of wildebeest on the night safari and a scene projected on the Tree of Life for the Awakenings show.